Members of local nonprofit Friends of the Greenville City Parks donated more than 200 tons of beach-grade sand to be laid down at a local playground Tuesday morning. 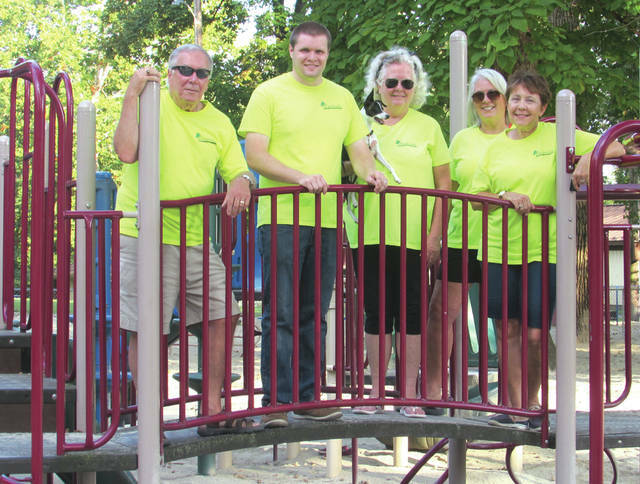 GREENVILLE — Local nonprofit Friends of the Greenville City Parks donated more than 200 tons of beach-grade sand to be laid down at a local playground on Tuesday. “The sand was so soft that the guy delivering it was like, ‘Where’s the beach at?’” Greenville Parks Department manager Deb Fall said. 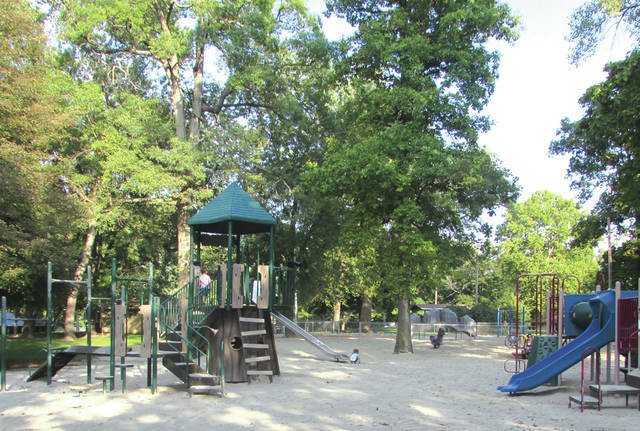 The play area, located on Avenue F inside the Greenville City Park, includes swing sets, slides and monkey bars as well as shelters and picnic tables for adults. The sand, according to Fall, acts as a soft barrier for kids playing in the park, in case they fall, and was provided at a substantial discount by Bradford-based company CF Peoppleman, Inc. The sand was transported to the site by Rock Chuckers, LLC of Covington. Fall said that community service workers would be coming in to smooth out the sand and fill in any holes later in the week. The Friends of the Park initially donated $5,600 for 360 tons of sand, but the final amount poured was about 230 tons, meaning the amount of the donation will ultimately be adjusted. Group members said the remaining funds will be put back into the park in other ways, however. “Our money is for the parks, and we continue to look for ways to improve them,” Friends of the Park member Jenny Clark said. Friends of the Park President Kent Holmes stressed that no tax dollars go toward furnishing these kinds of improvements. Instead, all funds come via grants, public donations and fundraisers put on by groups like the Friends. Holmes’ group, which includes about 12 members, recently held a 50/50 raffle and a pancake breakfast, as well as participating in the local Sunshine 5K race. “We like to make sure the parks are nice, so that families can enjoy them,” Holmes said. The Friends currently are submitting final grant paperwork for their next big project, the renovation of Little Turtle Island, which is located inside one of the large bodies of water in the park. The group recently acquired a $100,000 Ohio Department of Natural Resources grant for the project, which is expected to begin before the end of this year. Plans include planting new trees and power-washing the island’s stone waterfall. The group also plans, eventually, to install a life-sized bronze statue of Chief Little Turtle, for whom the island is named, as well as a plaque bearing historical information. Meanwhile, Greenville Safety Service Director Curt Garrison will apply for a grant to be used for a project at South Park. If the grant is obtained, updates would include a splash pad, 24-hour parking, additional parking spots and remodeling of the park’s restrooms. The writer may be reached at 937-247-6580. To join the conversation and get updates on Facebook, search Advocate360. For more features online, go to dailyadvocate.com. This entry was tagged Friends of the Greenville City Parks, Greenville, park. Bookmark the permalink.